The government shutdown is beginning to hurt some of the most vulnerable Americans including homeless people and low-income renters that are dependent on subsidies. With the Department of Housing and Urban Development being one of the federal agencies hardest hit by the shutdown, their usual efforts to increase access to affordable housing via providing subsidies and financial support to nonprofit groups that help low-income renters, have been reduced drastically. The impact of such reductions is residents facing fear of eviction, nonprofit groups tapping into their emergency reserve funds, and more and more people’s lives being put at risk. The article by the NY Times linked below explains the current situation in more detail. Give it a read to find out how the government shutdown is affecting individuals, nonprofit organizations, and the nation as a whole. ACC joins Big Y Giving Tag Program! We are excited to share that ACC is now participating in the Big Y Community Bag and Giving Tag program! Visit any Big Y store. Buy a reusable Community Bag. Follow the instructions on the attached Giving Tag. Wa-lah! We’ve received a $1 donation! This is a great way to protect the environment and raise money to help us continue supporting homeless people. Watch the video below to see Linda share the exciting news! Last week, Valley Community Development Corp. of Northampton purchased a nearly 1-acre site on Northampton Road that could become Amherst’s first single-room occupancy project. This initiative is designed to address the ongoing problem of limited housing supply for extremely low-income individuals, including homeless people. The residents of these apartments will be able to receive case management and supportive services. Read the article on the Daily Hampshire Gazette to learn about this exciting news in more detail. On August 8th, Amherst Community Connections had an incubator workshop on the topic of Asperger's syndrome with Christopher Stony. We started off with an icebreaker, asking everyone if they had something nice or beautiful that happened to them that morning. One person talked about sitting on the porch, and seeing a beautiful cardinal. I happen to have a bird feeder at home and my mom and I will name the different birds that go by. Another person said that they saw a chipmunk and were trying to decide whether it was alvin, simon or theodore. Being surprised with breakfast by a grand daughter was also something that was very nice this morning. It also made me think that you can always remember good things even if you think nothing good is happening to you. I thought I just rolled out of bed that morning, but I remembered the nice calming, morning walk I had on my way to ACC. Stony gave us a very in depth and personalized story of his life growing up with Asperger’s Syndrome At a young age he was pointed out as different from everyone else and was sent to very unproductive sessions of psychotherapy. He had an interesting note that him riding bikes with his friend taught him more than all of the psychotherapy appointments combined. In addition, he explained how he has a hard time around large crowds and too much sensory overload. He needed a carved out time to be alone with himself in order to be happy. I have found that at times I cannot deal with too much sensory overload. Being at a party or a concert at times can be quite overwhelming if you are not in the right mood. In addition, he would be so overwhelmed that he would start screaming, so people thought that he was acting out to get attention. In reality, attention was the opposite of what he wanted, and he needed to get somewhere he would be completely alone. Stony went to college where he excelled academically but could not deal with many other aspects of campus and dorm life. When amplified music was brought into his campus it was something that his senses really could not handle. Moreover, I can see how campus life would be hard for him as a college student myself. Being in a dorm is fun, but puts a lot of strain on the senses. Dormates can be very loud, there’s people everywhere, roommate issues and other things all factor in. This combined with Asperger's syndrome would be an extreme amount of things to process. After he dropped out of college he got 100 acres of rural farmland in New Hampshire, where he could finally live in the solitude of nature. Stony found certain outlets like music (singing in choirs) and dancing to be something he could be happy with. He said he is not very good at communicating with people so music was something that he could do without having to use people skills like talking. As a musician myself I find this very important, because I have also seen how music can bring all different types of people together. When everyone is solely focused on making beautiful music, all the other social worries can go out the window. Dancing was also something that did not involve social skills. All you had to know was the dance moves themselves and just go out there and do it. Surprisingly, Stony did not know that he had Asperger's syndrome until the 1990s, because it wasn’t a thing before then. When he found out he said it was like he had escaped the wilderness and obtained a map of his issues. I cannot imagine not being able to diagnose your mental issue until you are well into your adult years. The things this man has had to go through are things that no one should have to deal with. He also told us about the way his brain works, saying that he is very good at creative thinking but the opposite with strategic thinking. At a young age he could think up grand visions of Architecture, but could not play a game of chess for the life of him. He made a good point, that the inner workings of individuals minds are very unique and different, and that we have to be more understanding of different types of thought processes. Just in my circle of friends or family I have many different types of minds. Some of my friends are more organized, others looser, some are creative while others are more logical. Stony also said that he has two goals in life: to enjoy life and be kind to others. I think these are two things that every human being should live by. Moreover, Stony seems to be doing just that, as he is representative for people with Asperger's syndrome and a very kind person. He really personalized the experience of Asperger’s so all of could understand. On July 25th, Amherst Community Connections had an incubator workshop on the topic of visual art. Bela Halstead ran the worksop as an art class for anyone who wanted to join. We started off introducing ourselves and saying what our experience was with visual art and/or what we would like to experience with it. It was very eye-opening for me to see how many people have experience with art in some form throughout their lives. I grew up with an immense background in music, but not so much in the visual arts department. Pat started of saying how art makes you think only about the present. The past and present become basically non-existent has you focus intently on your artistic creation. I have seen this exact effect when performing or practicing music. When I am in certain performances it feels like I am lost in the flow and rhythms of the music. It is a very nice stress reliever where you can just forget about everything that is going on in your life for a couple minutes. There were many other interesting responses from participants. One person finds art in their life by completing different puzzles. Moreover, this is a way for them to keep focused and take their mind of issues going on in their life. When I was younger, I also used to do many puzzles of things like state maps or landscapes. Seeing everything coming together in the puzzle is a very fulfilling feeling and is not like anything else. Another individual told us how he cannot separate art from life and that they are basically one in the same. Specifically, he told us how he painted his car in a very artsy manner and how different parts of his house have very elaborate artwork in them. For me, this was a very interesting perspective because if you step back and look around, everything really is art. You can look at a hole in the wall and see something of beauty or significance. Beauty is all in the eye of the beholder. In addition, Bela enlightened us on how she loves art and the creativity involved with it. She told us how the art leads her and takes her in many different directions. I very much appreciate this creative outlook on art. Art, should not be something we are told to do, but something that we want to do. For the first activity, we all were given pieces of white paper to sketch on. Bela told us to think simply and draw anything we wanted, thinking about 3 basic shapes. Moreover, there would be three regions of lighting on the paper: dark, medium, and light. The point of this exercise was for people not to get too caught up on the details of their drawing, but instead be able to focus on one thing. Everyone in the room was having trouble with not getting caught in the details, including myself. I would always be like, “these leaves don’t look realistic” or “the dimensions are off” or something like that. We would have to remember that those things are not as important in the big picture. She also reiterated that we should not do what someone wants us to do, but what we want to do. We were then directed to draw something else on the back of the sheet using the same three basic shapes. Some people had completely different drawings while other people just built off of the ones they already had. My drawing was built off of the one I had, but it had a different twist. The second one was more mathematical and abstract than the first drawing I did. Others found split second inspiration to draw another person in the room or some type of shape that they really liked. The next thing we had to do was use color to edit the drawing that we had made. It was very interesting to see how the colors people used change the message and beauty of the art. When I showed my redone drawing there were many different interpretations of the art that I would have never thought of myself. Art is so important in that aspect because it is always open to interpretation. Two people can have two completely different takes on a piece of artwork and it is perfectly ok.
Art is a very important aspect of our lives as it can relieve stress, bring people together, and inspire creativity. On July 11th, Amherst Community Connections had a incubator workshop on the topic of finding beauty in the ordinary. Hwei-Ling started out with an ice breaker activity relating to this topic. The activity was to say something creative about a name or nickname that you have, and to share ways you find beauty in dark times. Hwei-Ling started us off talking about how she was dealing with some issues at work and how she was getting through them. Her telling of her life problems was very personal and was something that most people in the room could relate too. Specifically, everyone has issues that they believe are too hard to overcome. Hwei-Ling set off the meeting by lighting a path to happiness in a dark time. To help her find beauty in difficult times she tries to see the totality and every single angle of a person. Everyone else in the room had very interesting takes on their names and how they find beauty in dark times. One response that was very prevalent in the discussion was nature as a way to cope with hard times. Many participants talked about sunsets or taking long walks through greenery. Personally I very much enjoy hiking as a way to destress or just find some happiness. Being outdoors in the heart of nature, away from all of the hustle and bustle of the real world is something that can help many people if they are feeling down. Dr. Rick also talked about how one has to be honest but in the right way when talking to people. A person needs patience in order to see the beauty in a person or an inanimate object before they can dismiss it. Patience is something I am very attuned to, as my Dad is a very impatient, stubborn person at times, and it is his way or the highway. After seeing people like my Dad, I try myself to be more patient and willing to see things the other way even if I do not like it (I’m not trying to bash my dad-he’s actually a great person). Patricia enlightened us on the fact that there is beauty that is overlooked in many of the things we do, specifically, in nature, art, and even looking into someone’s eyes. I have also found that looking at someone while talking or just making eye contact with someone is so meaningful. It gives more of a connection to an interaction with someone. Also Jennifer showed us that things happen for a reason and you have to look more towards the future, not being so focused on what could have been. Also some of the participants had things they they were looking forward to like online school to become a early childhood educator or a child that they loved. Personally, one of my friends has always asked what I was looking forward to in the future even if it was something very small. Sometimes, when she asked, I felt like my life wasn’t the greatest at that moment. However, when I really thought about, it there was always something I could look forward to or cherish like my dog, going on runs, my wonderful friends and family, or music. After this discussion we were all asked to bring up something that we found beautiful in the room. Many of us looked around and found objects or ideas that we hadn’t thought of before we were asked this question. Many people in the room brought up the artwork and other objects which were hanging up on the wall. In addition, someone brought up that there is a great deal of beauty in people themselves, specifically with the different experiences or ideas they imprint on others. Patricia talked about Chief Seattle and his message that everyone is connected, and that we are but one thread. Many of these points were things that I personally related to. I would say there is a great deal of beauty in the community that these incubator meetings provide. Community is so beautiful because it brings people together and shows that we are social beings that need others to survive. Many people feel down sometimes or almost all the time because they feel that they do not have a community they can go to that is free of judgement or hostility. Music for me has been a source of community because in a musical ensemble we are all unique individuals who are coming together for one purpose: to make a beautiful work of art. Happiness can be found in even the hardest of times. This is something that we must remember at all times. On June 27th ACC invited Bill Clock to come in and talk about his father and the making of pottery. Before, Bill went into his discussion, Hwei-Ling started an ice breaker where people introduced themselves and shared something funny about their father or a father-like figure in their life. I was intrigued by the different stories and upbringings of all of these individuals. The stories ranged from pranks to smoking on a plane to wrestling. There was a large range of ages and backgrounds represented, which made the stories very interesting. Bill Clock is a musician and pottery maker who lives in the area. He mostly talked about his dad, specifically the profound influence he had on his life. His Dad was one of the most interesting people I have ever heard of. His dedication to arts and crafts led him to a very adventurous life, traveling to England with his family to continue his craft. Bill was gracious enough to bring in his father’s collection of pottery and artwork in for everyone to look at. Just by looking at the beautiful pieces of artwork on display, you could see the devotion and time his father put into his craft. The amount of respect that Bill had for his father was something to behold. Moreover, every word describing Bill’s father held some kind of reverence. He was very proud of his dad for being so dedicated to his craft and basing his life off of something he loved so dearly. The love between father and son was a part of his talk that made me listen very intently. Even when his father was losing his abilities and getting into many political arguments in later years he still viewed his father as a stand-up guy. When Bill’s father passed away, it was very hard for Bill because their relationship was so strong. His father gave them many different opportunities like being able to live in England on and off for many years. Bill Clock’s life was one that was very unique and something that many kids around the world would love to have. There were many incredible places he traveled to, and many unforgettable like experiences to speak of. At the end of the incubator meeting, Hwei-Ling had each member of the audience state different aspects of their father’s personality that they themselves have inherited. The answers were quite varied but all had a similar theme. Many of these individuals had something bad that they gained from their father like being stubborn or inheriting bad habits. However, they also inherited some very important personality aspects like discipline, hard work, being positive, and not judging people at first glance. One inheritance from a father figure that struck me was a father who was emotionally present for everyone in the family. This man said his father always exhibited, unconditional love and compassion to everyone he knew. I thought this statement was incredibly poignant because we desperately need these two things in our society today. Without these two things, people experiencing homeless and low income individuals will continued to be ignored. Also something else that struck me was the fact that two individuals opened up about not having a father growing up. In their eyes their mother was both the father and mother figure in their lives. As someone who grew up in a very stable heteronormative household I could not imagine being raised by only one parent. However, both of the individuals who spoke up were still able to become strong wonderful people in their own right. It was nice to hear Bill Clock’s words on his father and pottery making and we wish him the best in the future. On June 20th, ACC invited Sasha Rivera to lead a yoga session to help all participants find a new means of relaxing. 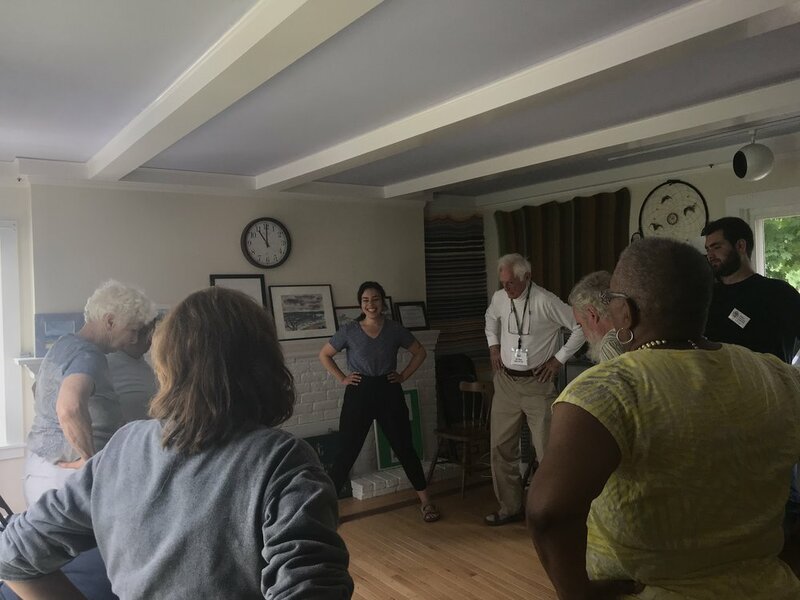 Before Sasha arrived, the participants went around introducing themselves and sharing activities they personally find helpful when trying to relax. 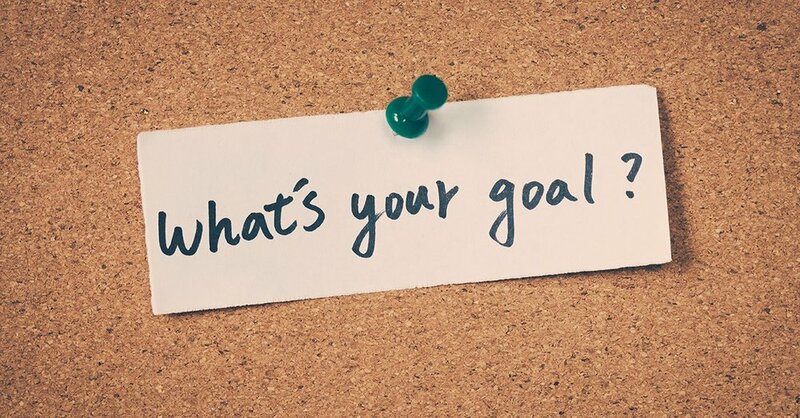 Some great ideas people have mentioned are: going outside for fresh air, exercising to release endorphins, drinking hot tea or coffee, meditating, singing/making music, taking a moment to collect one’s thoughts, and sleeping. And when Sasha joined the conversation, she - with no surprise - answered yoga! Here’s a little bit about Sasha. She is an Embodyoga® instructor (RYT 200, meaning that she is a registered yoga teacher who has completed 200-hour teacher training) in the Pioneer Valley. “She helps her students find support for their movements from the inside out, utilizing Embodyoga®’s movement principles and templates for whole-body support. With Sasha you will learn to connect to and radiate out from your center, bring breath and awareness deeper into your body, and move safely and easefully from one asana (posture) to the next.” Sasha offers classes that are flowing and dynamic for a range of levels. ACC was happy to have such passionate and qualified yoga instructor visit us! Before trying out some yoga exercises, Sasha explained the different styles and types of yoga. Bikram consists of a specific sequence of poses and breathing exercises. For those who gravitate toward a set routine may enjoy Bikram because of its predictable nature. Hot yoga, similar to Bikram, is practiced in a heated room (like a sauna) and allows one to move deeper into some poses. For those who love a tough workout and are sweat lovers, give hot yoga a try. Last but not least is Embodyoga, the style that she teaches. Embodyoga allows us to enter the body-mind fully, drawing our attention to each organ, tissue, and cell. For those who looking to feel revitalized through a sense of awareness and liveliness, this style if for you! For a full hour, Sasha created a sensational and relaxing yoga experience for the participants. 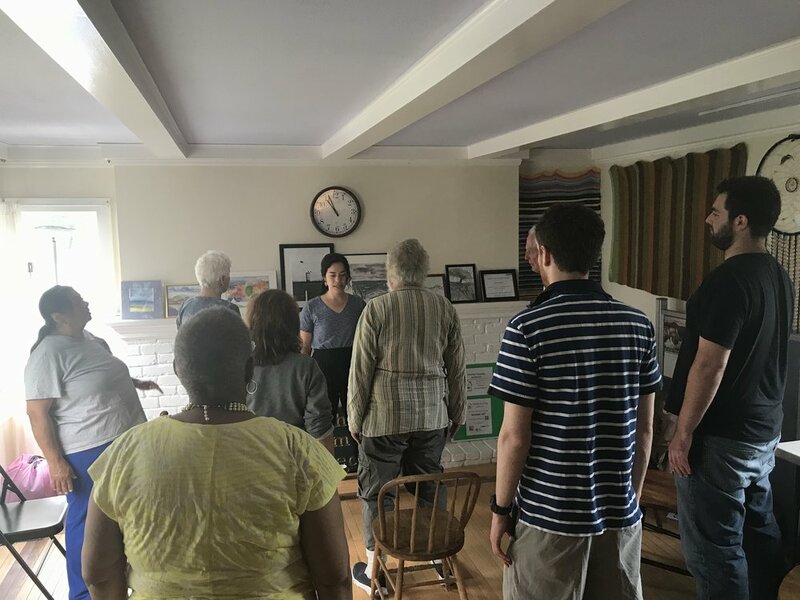 Sasha guided us through some beginner-level chair and standing exercises and finished with soothing breathing exercises. 60 minutes may seem long; however, all the participants unanimously agreed that time whizzed by, surely because they were having fun. As they say that pictures speak louder than words, here are some highlights from the event! Thank you, Sasha for an unique and therapeutic yoga session! ACC has a few free yoga passes for Amherst Yoga Center. If anyone is interested, please drop by to pick up a yoga pass! Today, ACC welcomed Timothy Scalona, a rising junior at University of Massachusetts Amherst. He may look like your average college student but he had a heartbreaking, uncensored - not to mention, also very personal - and raw story to share. For a third of his life, his homeless family of nine have moved back and forth between eastern and western Massachusetts. Tim spent six years of his life in hotels, friends’ houses, motels, and state-funded homeless shelters. As Tim talked through a timeline of events in his life, narrating every obstacle he and his family faced, he also often mentioned the support systems, and the lack thereof, that they desperately needed and unfortunately was inadequate. He expressed frustration in state services for not making it easy for people to get out of the homelessness; it, in Tim’s words, is a “perpetual cycle of [homelessness] exacerbated” that people of authority and privilege keep the homeless trapped in such cycle as it is profitable for them. The hope, motivation, and strength in midst of his struggle came from his academic endeavors and education. As a high schooler, going to school was the single thing that gave him stability. As an undergraduate student, higher education at UMass became his sanctuary from other things (although later realizing, this too came with many new problems). Tim explains that for his peers, education was a priority but was not an emergency need; however, for Tim, education was the key to moving forward. ACC created a safe space where the big elephant in the room - homelessness - was addressed. Throughout the conversation, there were countless moments of affirmation of the struggles that Tim and others have battled and still continue to fight against to this very day. There was not a dry eye in the house. Everyone walked away with a greater understanding of the experience of being homeless and the bigger institutional and societal problems we, as community members of Amherst, still face today. I speak for ACC and all others in attendance when I thank Tim for putting his trust in us, being vulnerable in front of us, and having the courage to share his story. Tim makes the point that it’s tough enough being homeless and poor while constantly battling the uncertain, but the stigma associated with it is brutally traumatizing. Power, classism, and institutional oppression are just a handful of problems that our society faces today. All three are also inclusive in the infinite list of causes of homelessness. Homelessness is a problem that will not go away soon and yet is horribly stigmatized; to break such stigma, Hwei-Ling reminded us that it is more respectful to say, "people who experience homelessness" rather than the "homeless people.” Tim adds that it’s the “inability for the larger society to accept vulnerability, ignoring the fact that it could be anyone at any time.” Just some food for thought. ACC hosts free incubator workshop on Wednesdays from 10 am to 11:30 am. Free lunch for all. Come check us out for Relaxing and Rejuvenating with Yoga, Wed. June 20 at ACC office. Please come and bring a friend! What is your comfort food? Many answered with chicken noodle soup, chocolate, mac n cheese, or ice-cream. Comfort food is supposed to be good for the soul and to make you feel good, much like our beliefs are supposed to do. Today, ACC welcomed Reverend Christina in a workshop called “Pub Theology”. In our workshop, we discussed philosophy, faith, and deep meaning. She liked to call it pub theology because even though we were not at a pub sharing a brew, we were sharing good company. Reverend Christina first started out by saying that everyone is entitled to their own opinions and nothing anyone says about their higher beliefs is right or wrong. When it came to our beliefs, it was heartwarming to be in a room of such deep thought. Many people shared their own personal beliefs such as the belief that we all have a purpose in life, or the belief that there will be peace in the world eventually. One of our participants Greg believes that you have to believe in yourself before you believe in anything else. Christina was thorough in asking her questions and wanted to know if people believed in a higher power and what that higher power means to them. One of our staff volunteers Lillian described her higher power as being an experience. She believes that the higher power can do things that she cannot do and that her higher power can handle things she cannot handle. The talk of higher power led to a discussion on the similarities and differences in religions. One of our participants Jennifer was eager to share that she believes everyone should learn about different religions than the sole one they believe in so that everyone can get along and feel respected. After this incubator meeting, I think everyone left the room feeling a little lighter and brighter due to the great conversation Reverend Christina brought to ACC. Radio, newspaper, word of mouth, television, computer, and magazines are all ways to receive news. But how do we know if the information in the news is true? Today, one of our interns Alexandra Shore gave a presentation on “fake news”. She is currently a sophomore journalism student and wanted to share her recently learned knowledge on how to sift through fact or fiction. There is one test that she put the main focus on which is the C.R.A.A.P Test, an acronym which is supposed to remind people that there is a list of steps we can take to sift through the information. · Who is the author/publisher/source/sponsor? · What are the author's qualifications to write on the topic? One tip Alexandra shared with the group is to always take information with a grain of salt until you have time to fact check the information. Everyone who attended our weekly incubator meeting today shared their tips on how to stay healthy. People mentioned examples such as drinking water, exercising, and getting 8 hours of sleep. But when it came to keeping Kidney function healthy some were stumped. Thankfully we welcomed students from Amherst College who are part of the KDSAP, or the Kidney Disease Screening and Awareness Program. The students of the KDSAP program explained that Chronic Kidney Disease is a “silent killer”. Kidney diseases are also increasingly recognized as a public health concern because chronic kidney disease (CKD) is very costly to treat. 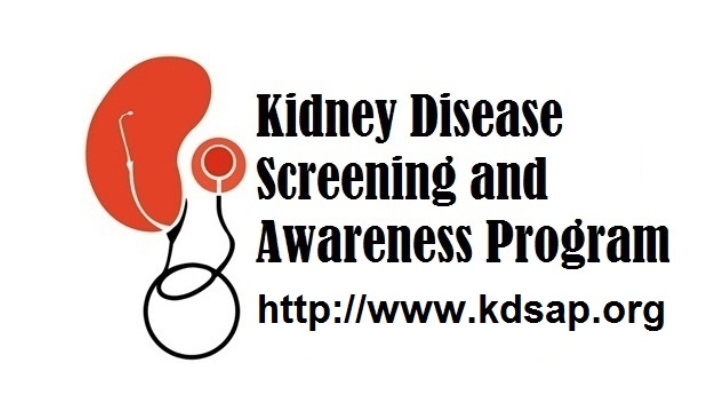 Raising kidney awareness can help detect CKD early on and thus prevent complications of decreased kidney function, slow the progression of kidney disease, and reduce the risk of other associated diseases. In order to prevent Kidney Disease, we learned that we need to control high blood pressure and diabetes, avoid medicines like ibuprofen and other herbal medicines that hurt kidneys, drink lots of water (2L a day), avoid too much protein and sodium, and also exercising 5 times a week. · How is my Kidney function? Anyone who attends the kidney screening and completes all the steps will be awarded a bus pass for keeping kidney health in check! “What are obstacles to applying for Social Security?” was the question at the heart of David Waldfogel’s talk at last week’s incubator meeting on March 14. As an attorney for the Center of Public Representation, Mr. Waldfogel acts as legal representative for people whose Social Security cases have been denied. This Wednesday, he shared with us some advice he has collected from years of working with low-income clients. Arranged in a U-shape around Mr. Waldfogel, the meeting stared with introductions as we mused on the question – what are obstacles to applying for Social Security we face in our own lives? After responding to the concerns and experiences of those gathered around him, Mr. Waldfogel jumped right in to clear up the confusion surrounding the Social Security system. For Mr. Waldfogel, he sees lack of internet access and no reliable mailing address as the two biggest obstacles to applying for Social Security. Because the Social Security application is handled online, having internet access is critical for starting the application and contacting support if anything goes wrong. Having a permanent mailing address is just as important, because Social Security mails out updates on applications and applicants only have a 60-day window to appeal if their case is denied. The key to applying for Social Security, he says, lies in the first question of the application: “Are you unable to work because of illnesses, injuries or conditions?” Social Security judges whether applicants qualify based on their ability to pursue “successful gainful activity.” In other words, whether they can work and make money. Mr. Waldfogel stresses, no matter what conditions applicants have, if it does not prevent them from earning money, then Social Security does not care. That’s why Mr. Waldfogel advises applicants to present everything: therapy, emergency room, primary care doctor, medications, etc. He says that a common mistake people make is that they leave certain medical conditions out of their application. Because the combination of impairments is important to establish the whole picture of the applicant and make a stronger case for why they are not able to work, he says to report every single medical condition bothering the applicant when they apply. Additionally, Mr. Waldfogel cautioned us against some of the other mistakes that people applying for Social Security make. A common misconception, he says, is that people need to see a doctor and have their full medical history in order before they apply. However, this is not the case – Social Security is the one responsible for collecting the medical information – and applicants who wait end up “cheating themselves” out of the time they could be receiving benefits. Furthermore, if an application is denied, he says, the worst thing you can do is to not appeal, thinking that you can just apply again. Mr. Waldfogel warns against dropping the appeal because not only do you lose all retroactive money (money they owe you that wasn’t given during the appeal), but you also go back to square one. Instead, he says it is better to persevere. In the hour and a half together, Mr. Waldfogel guided us through a quick but comprehensive tour into how the system works. Not only clarifying the difference between SSDI and SSI (earned insurance vs. need based) and the various cutoffs for payments amounts (Maximum $750 federal + $114 from Massachusetts per month), but he also tackled tough questions about the participants’ own experiences and details about the bureaucracy of the Social Security system. After the meeting, I couldn’t help but feel that the meeting itself helped overcome a huge obstacle – lack of information. I left feeling enlightened. If you want legal advice or have been denied for Social Security benefits – especially more than two times – you can call Mr. Waldfogel’s office at 413-586-6024. If you win the case, the office collects 25% of your winnings or $6000, whichever is less. If you don’t win, then no fees involved. He emphasizes that he cannot help people apply for Social Security, only with appeals. For the actual application process, there are resources at Amherst Community Connections, including Jane Braaten, who is certified by Social Security to help fill out the application.